The beauty of these resorts with timeshare allocation is that they are located on the some of the best beaches in Mexico with direct access from the complex. The Villa Group is famed for selecting destinations with the most potential and scope for a lifetime of vacations. 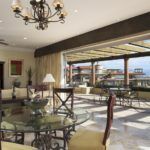 The Villa del Palmar timeshare resorts are celebrated for their large, comfortable and stylish accommodations that entice buyers time and again to invest in a lifetime of memories. Timeshare units come complete with kitchens, dining areas and living rooms, with enough space for all the family. Any maintenance fees are calculated yearly, so that you may pay regular installments to safeguard your investment and ensure that your apartment is perfect for when you arrive on vacation. The Villa del Palmar resorts all have excellent spa services and a fitness center, in addition to large pools, water sports, activities and all the amenities of a luxury hotel. Becoming a Villa del Palmar Timeshare owner means you can take advantage of Villa Preferred Access, a points system that facilitates exchanges between The Villa Group resorts. As owners of a Villa del Palmar timeshare, you also qualify for Interval International where you can exchange your timeshare in Mexico for destinations around the world. 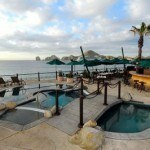 Share the post "Villa del Palmar Timeshare Resorts"
Before making a timeshare purchase you have to think objectively, despite all the promises you will be told in order for you to buy a timeshare. If a timeshare is such a good investment, why are thousands of people to sell their properties? Very simple, because it is really hard to keep on with the annual payments, and with the economy as it is now, it is important to manage our money properly and keep our credit record clean, for the sake of our families. Timeshare industry is known for being very susceptible to scams; however, timeshare properties are still a successful business for most resorts. In these times of rough economy, it is important to take care of our money, and timeshares are not in the way to achieve the financial security that we are all looking for.